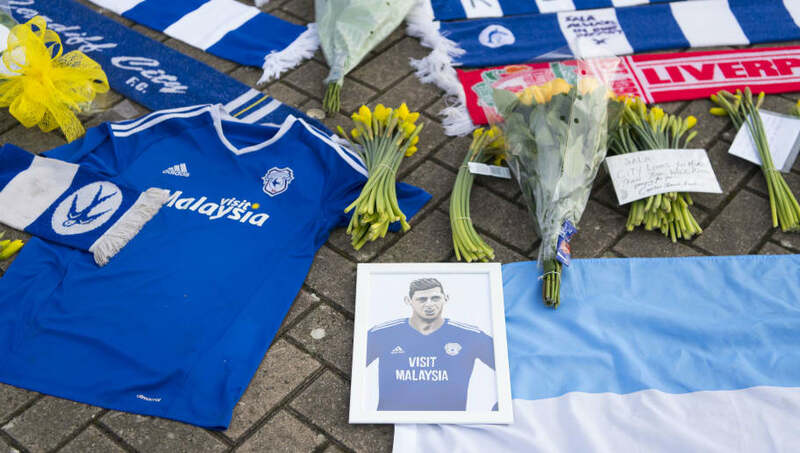 Guernsey Police have ended the search for the flight carrying Cardiff City striker Emiliano Sala, citing 'extremely remote' chances of survival as the reason behind the difficult decision to end the operation. The 28-year-old has been missing since Monday night, after a flight returning from France over the English channel went off the radar, and no traces of it have since been found. Police say in a ​statement that after 24 continuous hours of searching they have now notified the next of kin and called off the search. Friends, family and fans alike have laid tribute to the Argentinian, with the feeling being that there is little to no hope of finding him alive after such an extended period of time, and a report in ​The Times says that the club are still dealing with the grief. ​Cardiff cancelled training earlier this week, but are thought to be resuming normal service as of Thursday, and are planning on their match with Arsenal on Tuesday going ahead as planned. There have been countless touching tributes to the striker since his disappearance, with everyone from PSG forward Kylian Mbappe to his former manager Claudio Ranieri taking the time to show solidarity. ​​Ranieri, who worked with him at Nantes, told ​BBC on Monday: "He's a fantastic footballer who always gave his best when we worked together in France.